If you desperately need to know what day it is, yet can’t stand the convenience of glancing up at your Menu Bar — you’ve come to the right place. 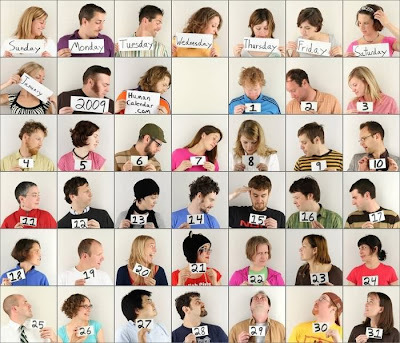 The Human Calendar is a fun and cleverly voyeuristic approach to date retrieval that relies on simple visual innuendo. The calendar is the work of Craig Giffen, founder of The Human Clock. If you are hopelessly confused, and just don’t get this fancy schmancy concept, try this link instead.